It’s been almost one year since District Winery opened its doors last August as DC’s first urban winery, and unsurprisingly, it has become a favorite of many locals and visitors. 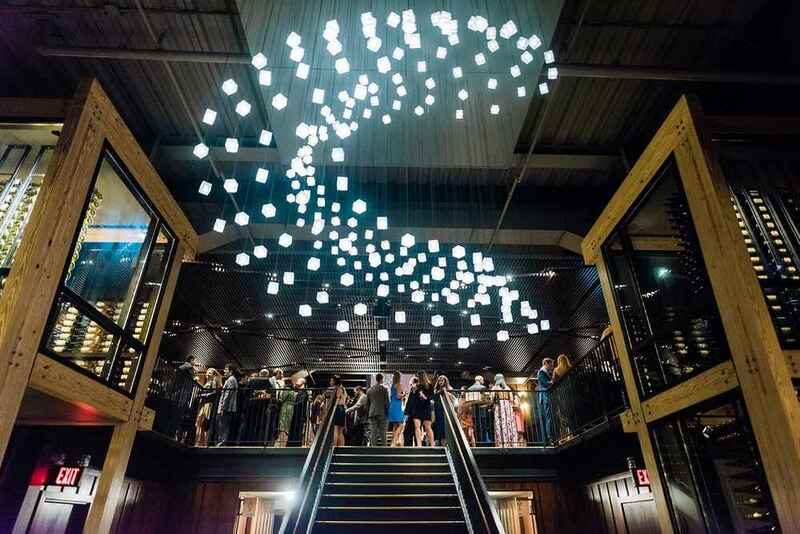 While the restaurant and tasting bar have drawn the attention of even DC’s most discerning foodies, the feature we love most about it is the full-service event space. The building is striking and requires very little to create a stunning event there. The design aesthetic is the perfect mix of industrial meets midcentury modern with rich dark woods and glass and steel throughout. The dramatic floor to ceiling windows provide gorgeous views of the Anacostia River, which, of course, is even more enjoyable from the rooftop patio. The private event space accommodates up to 200 guests for a seated dinner and 450 for a standing reception. Guests can also watch the winemaking process from the mezzanine level where large windows overlook the wine making facility.